Thanks DCCSD - it was an awesome course - great fun to drive. I was a little worried about cone overload at the top of the hill but it drove better than when I walked it. Or I was to sleepy to notice the rest of the cones lol. Folks, I’ve processed all the Late Apex Photos from the event, but my internet is down again. 😫 Cox will be out tomorrow morning for the forth time in three weeks. Until I can get a reliable high speed connection, I can’t upload the shots to my webpage. But I’ll post when they’re up. Folks, I’ve processed all the Late Apex Photos from the event, but my internet is down again. �� Cox will be out tomorrow morning for the forth time in three weeks. Until I can get a reliable high speed connection, I can’t upload the shots to my web page. But I’ll post when they’re up. After many hours of uploading a few at a time, all the photos are posted at Late Apex Photo. Enjoy! 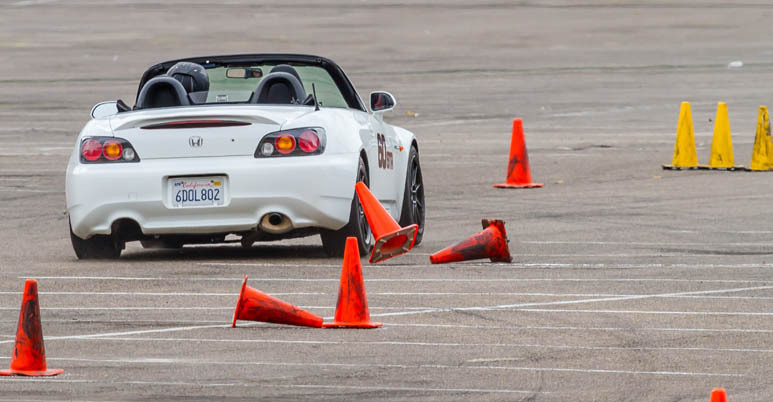 This was my first attempt at Autocross, so I wasn't fast, but here's my video. Thanks for everyone who gave me tips to help me learn! Looking forward to the next time! Last edited by Tim; 02-19-2019 at 08:29 AM.